As the summer progresses we will be posting articles sharing memories and highlights from the Challenge summer camps going on across the US and Canada. We start off this series, with Atlanta, GA’s Summer Camp. 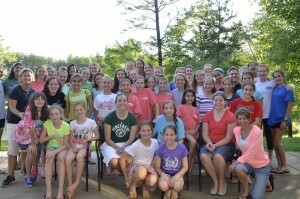 Challenge Atlanta has been having successful summer camps for the past 20 years for girls to have a fun faith filled experiences that carry with them throughout the year. That tradition is still going strong with this year’s INSPIRE Challenge Summer Camp taking place in Salem, SC. Over forty five girls attended the camp from June 7-13th ,along with an enthusiastic team of camp counselors and dedicated staff members made up of consecrated women and moms. During the camp, the staff tried to help the girls to discover their inspirations. It was a week of faith, friendship and fun following an Amazing Race theme. The teams of girls had to complete challenges each day in order to advance to the next phase of the race in order to find their inspiration and become an inspiration for others. 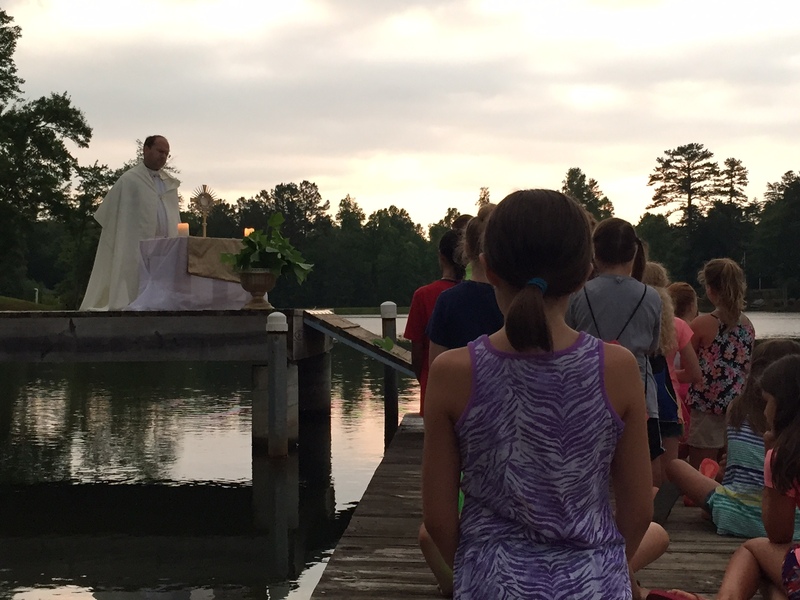 Some of the girls’ favorite activities included the Eucharistic procession, Messy Olympics, Eucharistic adoration on the dock and an unforgettable bonfire. To see a brief video on youtube about this inspiring Challenge camp, visit https://youtu.be/DYqvHi7aDy0.